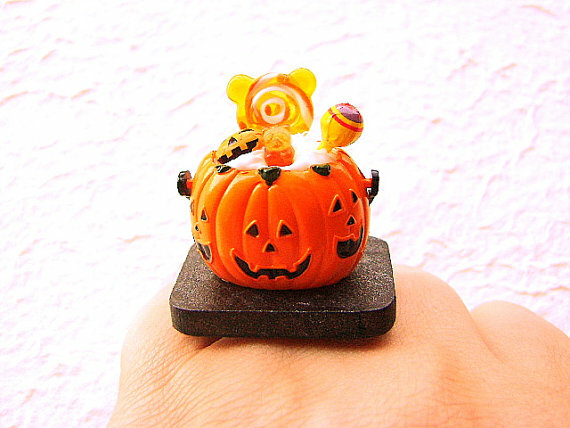 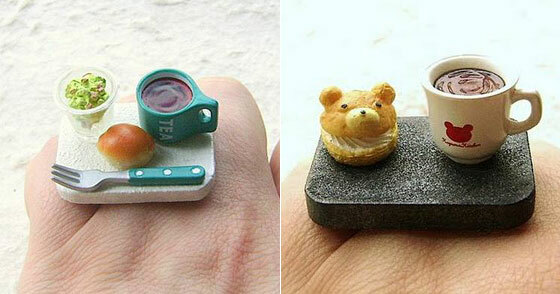 These adorable handmade decor rings are created by Sofia from SouZou Creations Sofia is Canadian married to a Japanese man and has been living in Japan for almost 13 years. 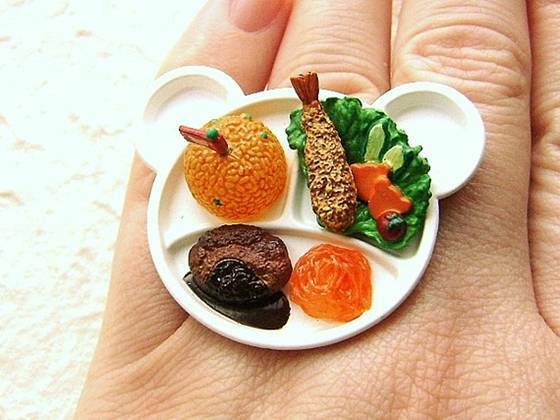 Among Japan’s culture she’s fascinated by everything that can be described with the word “kawaii”: small, simple, innocent, possibly colored with pale and pastel shades. 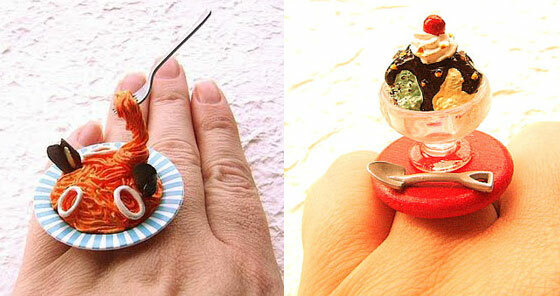 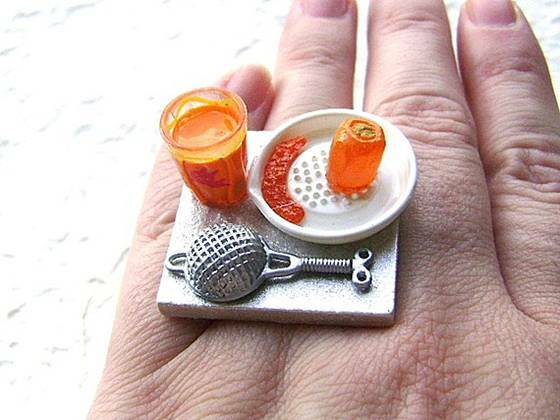 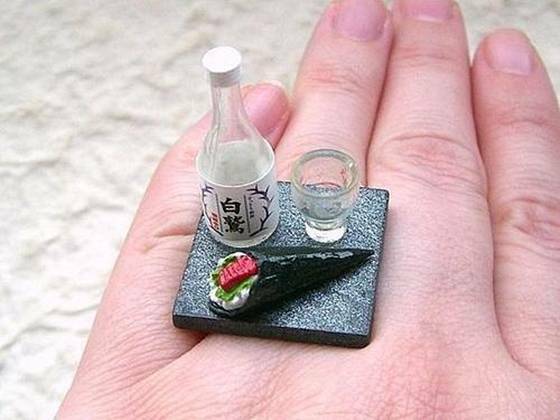 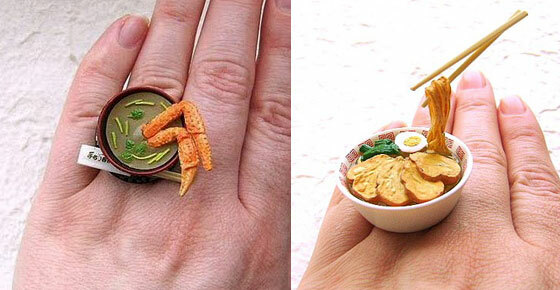 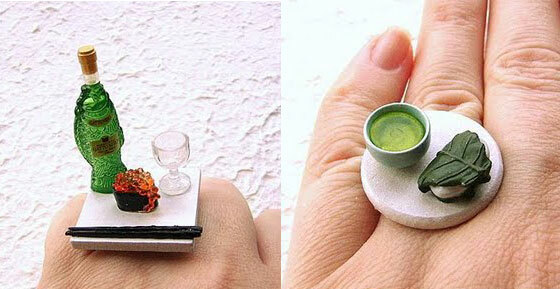 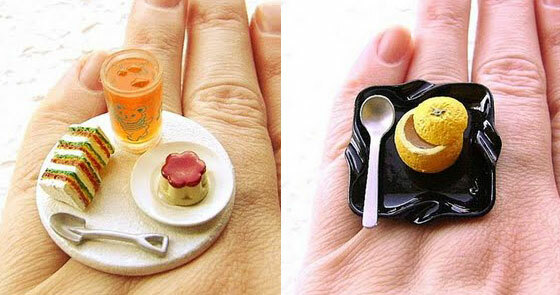 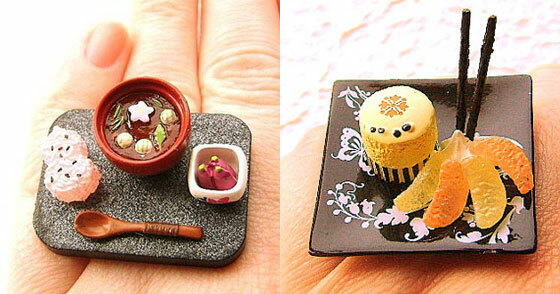 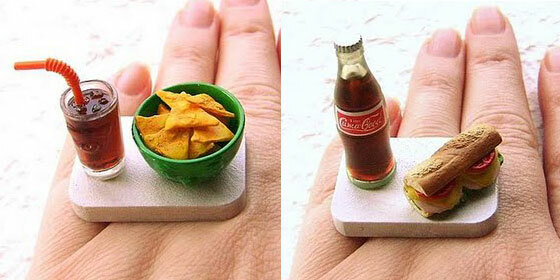 Just like the jewelry that she creates: miniatures of food from the Asian culture and beyond. 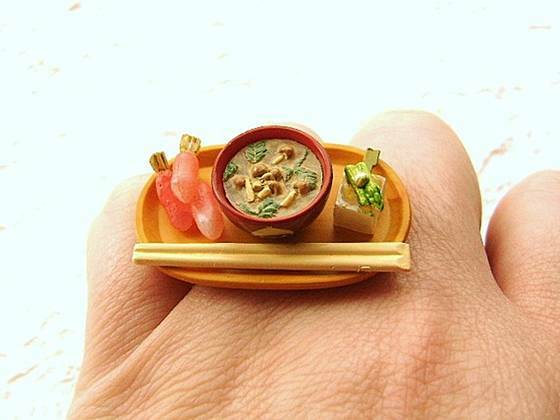 It seems that minimized copies of Japanese meals were attached to the wearer’s fingers, lovely and funny! 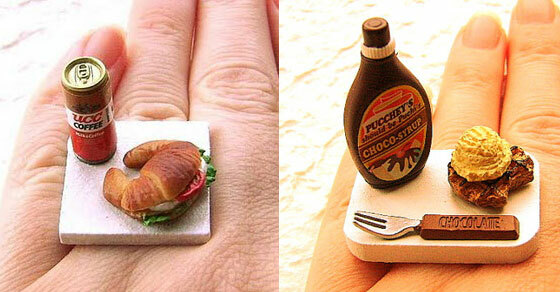 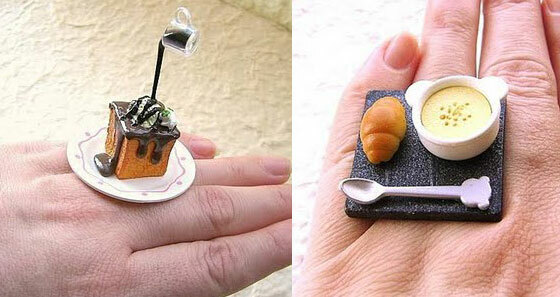 Just guess, if I have that ring on my finger, I probably will feel hungry all day. 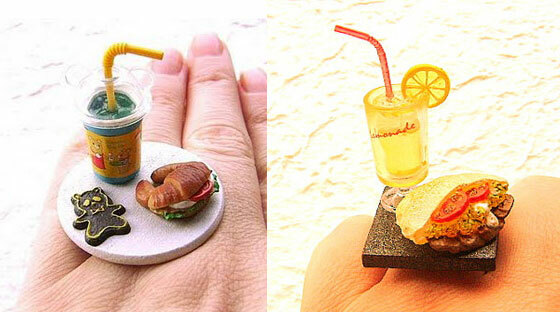 Wow – they are really cute!